RALEIGH – Allscripts plans to move all of its roughly 1,000 employees in Raleigh to a new 12-story office tower at North Hills. The company has signed a lease with Kane Realty to occupy nine floors, or 250,000 square feet, in the 330,000-square-foot Midtown Plaza tower, which is expected to open in the spring of 2017. The building is to be constructed on the east side of Six Forks Road at the corner of Cardinal at North Hills Street and Church at North Hills Street. Kane Realty was one of several developers that bid on a request for proposal Allscripts sent out. The company, a developer of electronic medical records, now leases 304,000 square feet farther north on Six Forks Road in Highwoods Properties Forum office park. 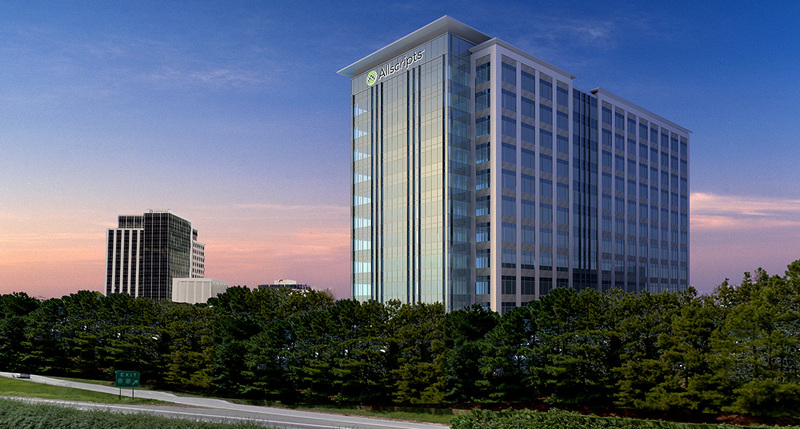 Allscripts Raleigh office is its largest single facility in the U.S. The Chicago-based company has laid off 90 workers in Raleigh this year, but a spokeswoman said last week that Allscripts plans to continue to invest in its local operations. The North Hills deal represents another major win for Kane Realty, which is already building an 18-story office tower that is expected to open in the spring of next year. About 75,000 square feet of that building’s 300,000 square feet is pre-leased. Just last week Kane Realty and Concord Hospitality Enterprises sold two hotels at North Hills for nearly $103 million to the sovereign wealth fund of the government of Abu Dhabi. While investors have been willing to pay record sums for assets within North Hills, the Allscripts move shows how attractive areas that offer a mix of retail, office and residential have become to potential employers. North Hills charges some of the highest office rents in the Triangle. Midtown Plaza joins a rapidly growing list of construction projects at North Hills. Kane Realty recently began building an apartment complex, and a third hotel is expected to break ground this summer. Kisco Senior Living is also now constructing The Cardinal, a retirement community.